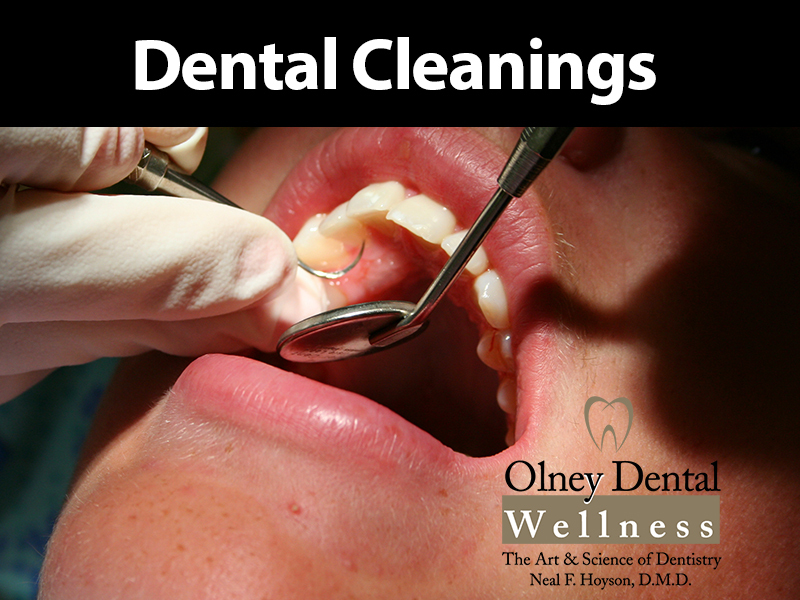 At Olney Dental Wellness, we provide dental cleanings to patients throughout the Olney, Maryland metropolitan area. We believe that regular preventative dental care is essential for good oral health. We teach our patients of all ages the importance of good oral hygiene. Removal of Plaque: Plaque is a sticky film that forms on the teeth and consists of saliva, food debris and bacteria. The bacteria component for the plaque produces toxins that cause inflammation of the gums which results in gingivitis and untreated gum disease. Removal of Tartar: Tartar or calculus is hardened plaque that cannot be removed with daily flossing or brushing. This is carefully and painlessly removed with special dental instrumentation. We recommend that patients have their teeth cleaned twice a year. Clean teeth and good oral health is important regardless of your age. As we age, the risk for oral infection tends to increase. This is due in part because our teeth age and the protective enamel begins to wear away. When this occurs patients are at risk for forming cavities. With regular dental cleanings by a professional and a rigorous routine of brushing and flossing patients can enjoy good oral health. We understand that patients and their families have busy work schedules and activities, so we offer flexible appointment times to make it easier to get your teeth cleaned.